Oh no! You’re headed out the door for a big night on the town when you suddenly realize that you have a huge red pimple in the center of your forehead! What to do? We’ve all been there. Foundation and concealer will cover it for the time being but they won’t get rid of that blasted blemish. 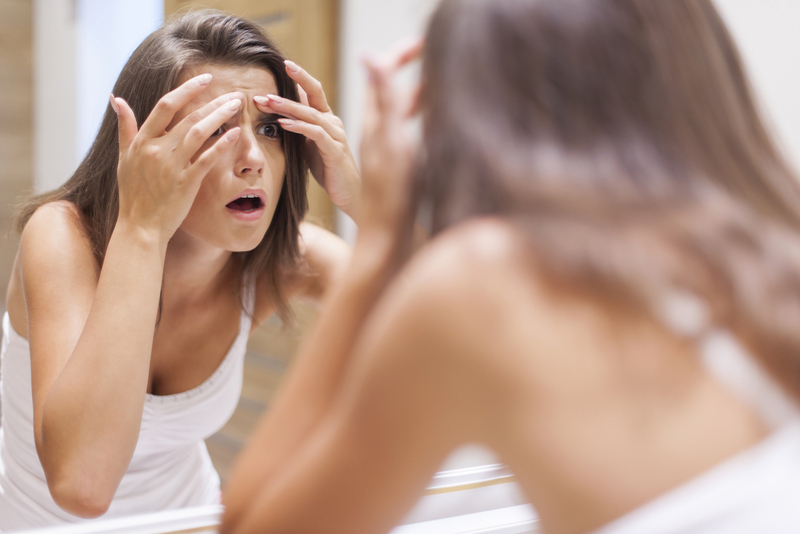 Here are 5 quick tricks that can help clear your pimple fast. This stuff is amazing and all-natural. The smell is strong and just a little dab will do the trick. Apply it straight onto the pimple and you will feel a tingling sensation. It will naturally disinfect and cleanse the area. In some parts of the world crushed garlic is prescribed by local healers and doctors to get rid of acne in adults. Like Tea Tree Oil, it is a bit stinky, but it has antibacterial properties that will go to work. It will be worth it once your skin clears! Pimple irritation and swelling occurs when microorganisms invade your skin cells, resulting in an eruption. Baking soda is said to help with the redness and inflammation. Make a mask of it with water and let it sit on your face for a while. Be careful. It can be drying so don’t overdo it. This is one of my favorite home remedies for many purposes and acne is one of them! It balances your skin’s pH and acts as an antibacterial, antimicrobial agent. You can use it as an astringent on a regular basis. Fresh lemon juice, straight from the source, will heal and dry a pimple in no time. The acidic antibacterial juice smells citrusy and delicious, as well. If you can’t handle the smell of garlic, tea tree oil, or vinegar, this or baking soda will likely be your best solution. Now to keep those pesky pimples from poking their heads next time. Insulin is a hormone that can encourage pimples and acne. The easiest way to keep your insulin levels down is to stay away from sugary foods by eating a diet with a low glycemic load. The reason for this is that the insulin in your body is directly related to your blood sugar. All of it is interconnected in that your hormones may become out of balance leading to all kinds of issues, which includes but are not limited to acne. This may sound simple and obvious but keeping your face clean is vital. This means washing it gently both in the morning and at night and not allowing oils, makeup and other clogging pollutants to sit on your face for extended periods of time. So, chances are good that you have some of the above items in your home. Check your cabinets and fridge or head over to the local health food store for some tea tree oil. Whatever you do, don’t fret. That pimple will be gone in no time. What are shadow roots and how do I pull them off?